The first part of Isaiah 53:5 says, “But he was wounded for our transgressions, he was bruised for our iniquities;”. Jesus carried the weight of our sin to the cross. Every sin, every transgression, and all of our iniquity — even the things that happened last week, and this week, or that will happen in the future — Christ bore it all on the cross. It’s hard to fathom, isn’t it? Romans 4:25-5:1 puts it like this: “Who was delivered for our offences, and was raised again for our justification. Therefore being justified by faith, we have peace with God through our Lord Jesus Christ:”. Jesus went to the cross for all of our sins. But He didn’t stay there! Christ went to the cross so that we should live unto righteousness! 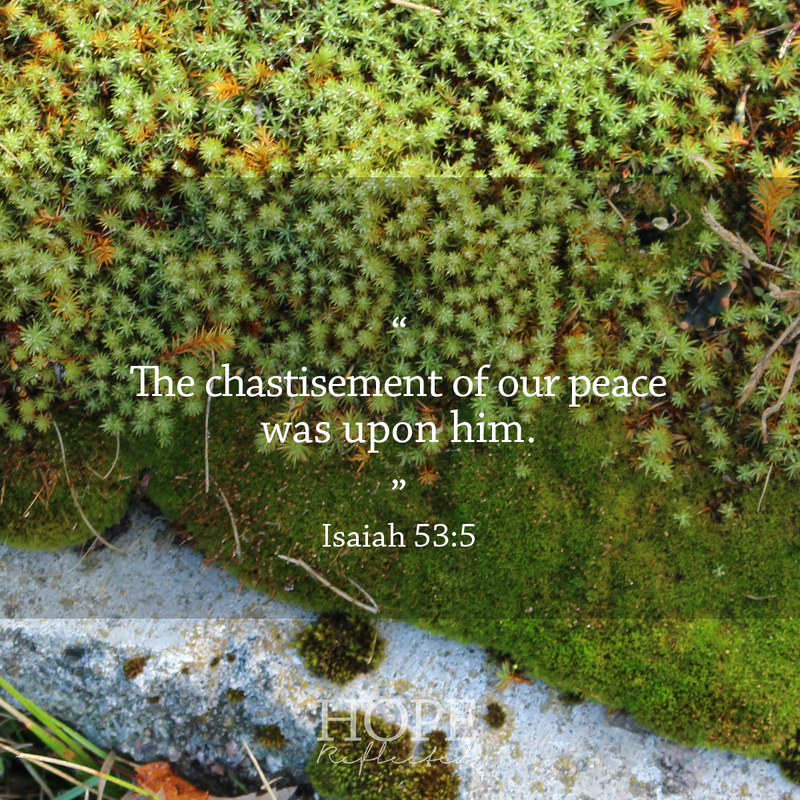 Click here to read more from this series on Isaiah 53.